We have seen five basic components of SCM previously, i.e. plan – source/supply – make/production – deliver – reverse. These five components cannot be separated. A simple example is if we have a necklace. Of course that necklace has to be in good form in order for us to use it. If one part, e.g. the hooks are damaged then we need to fix so we can use it again. Maybe there will be a slight defect or the looks will not as good as before. And maybe at first we only had the money to buy a silver necklace, but after a while we’ve got enough money to buy a gold necklace. We will take care of that gold necklace properly because it is valuable goods. Above example is same with SCM, each component is unity and should be managed properly to achieve value / profit as per the goals, it has to be sustained and improved. Procurement: the complete process for acquiring goods or services from external party or supplier. 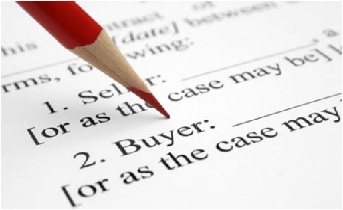 Procurement covers all process from the beginning until the end to obtain goods or services. It includes identifications of goods or services as per requirement, market survey or assessment, obtain sampling based on the required specifications, tender process until award for the winner, make a contract, ordering includes logistics arrangement (transport & warehouse if necessary), monitoring and make performance evaluation of the supplier. Almost same with logistics missions, procurement is acquiring goods or services in the right quantity & quality, at the right time & place and from the right source at the right price. Purchasing: the specific activity of committing expenditure (money or equivalent) and tends to focus on the price rather than others. We can also say that purchasing is a part of procurement and more for administrative aspects. There are several companies set their own standard for purchasing, it can vary greatly between companies. Going forward we will discuss steps in the procurement process.